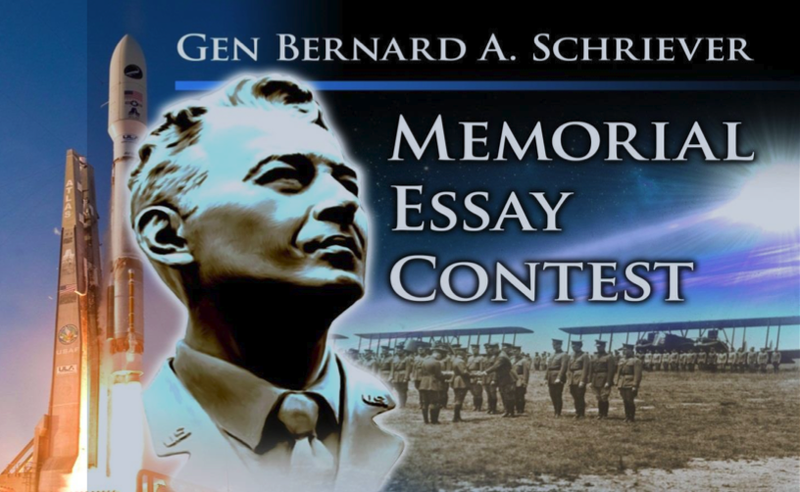 April 2, 2015 – In the name and memory of a great Air Force pioneer, the Lance P. Sijan Chapter of the Air Force Association is sponsoring the 2015 Gen. Bernard A. Schriever Memorial Essay Contest. The annual contest is open to all current Air Force military and civilian personnel, including Air Force Reserve and Air National Guard members. The purpose of the contest is to stimulate thought, discussion, and debate on matters relating to how the Air Force and Air Force Space Command provide space and cyberspace capabilities for the Joint Force and the Nation. The contest is an opportunity to share ideas among space and cyber professionals. The Air and Space Power Journal will publish the top three essays with honorable mentions given to other noteworthy entries. In addition, the Lance P. Sijan Chapter of the Air Force Association will sponsor awards for the three best essays. In addition to trophies, the winning entrant will receive $1,000, the second place winner will receive $750, and the third place winner will receive $500. The theme and guidelines are available at the chapter website and the deadline is July 31st.